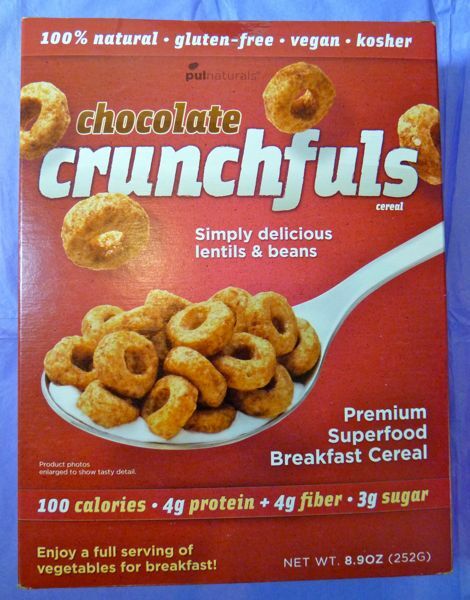 More chocolate cereal today -- part of Day #7 of Chocolate and Cereal/Grains Theme Week, and Day #1 of Chocolate and Seeds Theme Week. 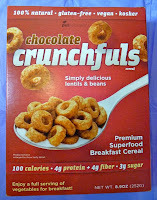 Today's selection: a bite of Chocolate Crunchfuls Cereal from Pul Foods Inc. (Mountain View, CA). 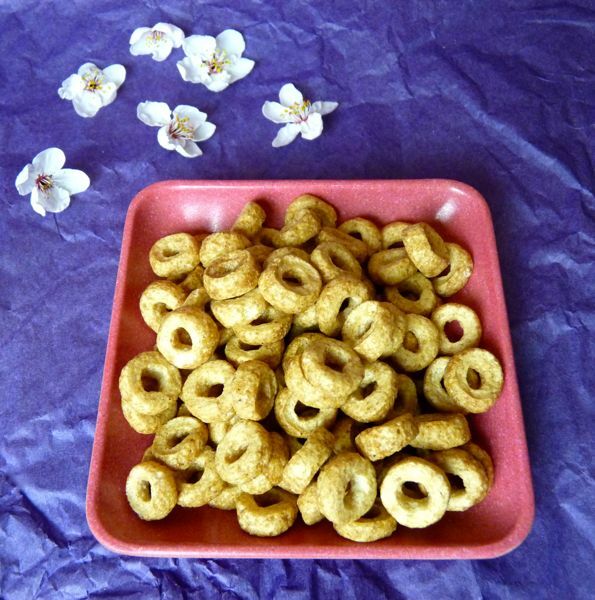 Designed to be healthy, these crunchy little "o" rings were made from lentils and beans ("pulseeds") and were lightly seasoned with cocoa. 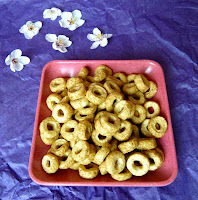 My first impression: pleasantly crunchy, and not too sweet; I like cereals that aren't overly sweet. My last impression: a slight bean and lentil after-taste.